In October of last year, we took a big family road trip. We started our travels through Wyoming, then hit South Dakota. As we neared the end of our trip through South Dakota, our plans changed due to weather. It was cold, wet and snowy on the route we intended to take on our way to Chicago. 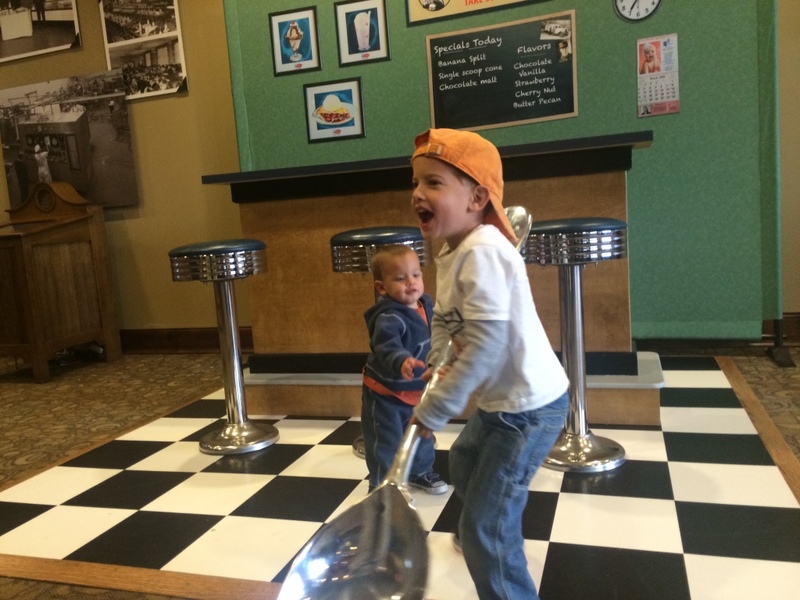 We ended up detouring to Des Moines, IA, and on the way, we made a fun stop in Le Mars, IA. 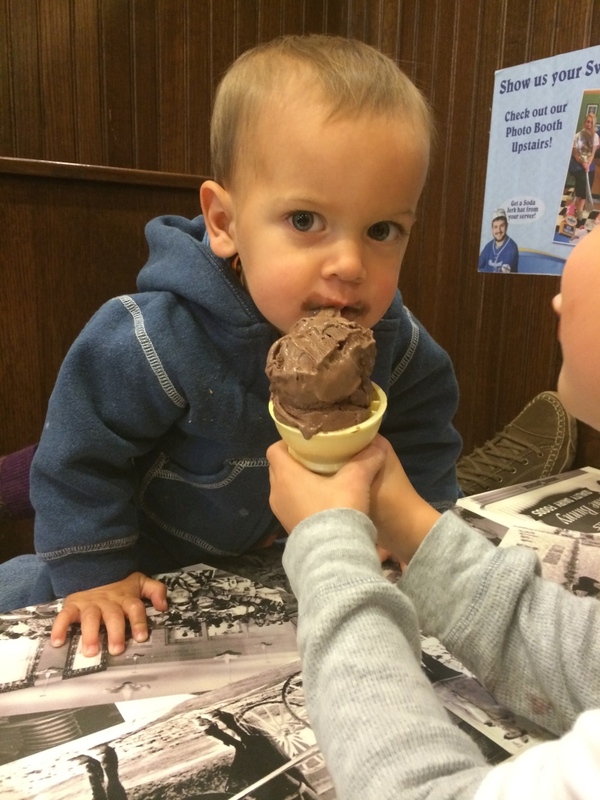 We couldn’t pass up the Ice Cream Capitol of the world. 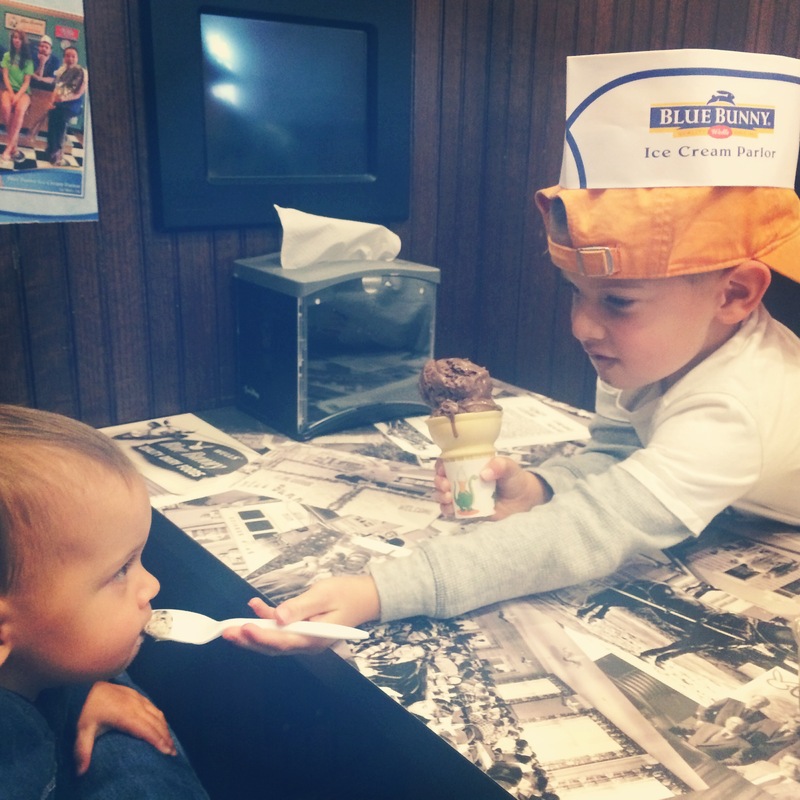 We learned about the history of ice cream and Blue Bunny Ice Cream where they make 250,000 gallons of ice cream a day. The boys were in heaven and everyone got to stretch their legs. Timmy had a rough day of travel spending much of the road time crying and fighting sleep. We got into West Des Moines, IA well past bedtime, but we were so thankful to have made the push. We scored a pretty nice hotel with an indoor waterfall and glass elevator. I took the boys on a pre-bedtime ride up and down the ten floors and Sam was thoroughly impressed. They both went to bed easily and Mark and I worked until 11pm. The next morning we all slept in until nearly 9am! I think we were all exhausted and travel-worn. Everyone was happy and ready for a new day, which was pleasantly surprising. 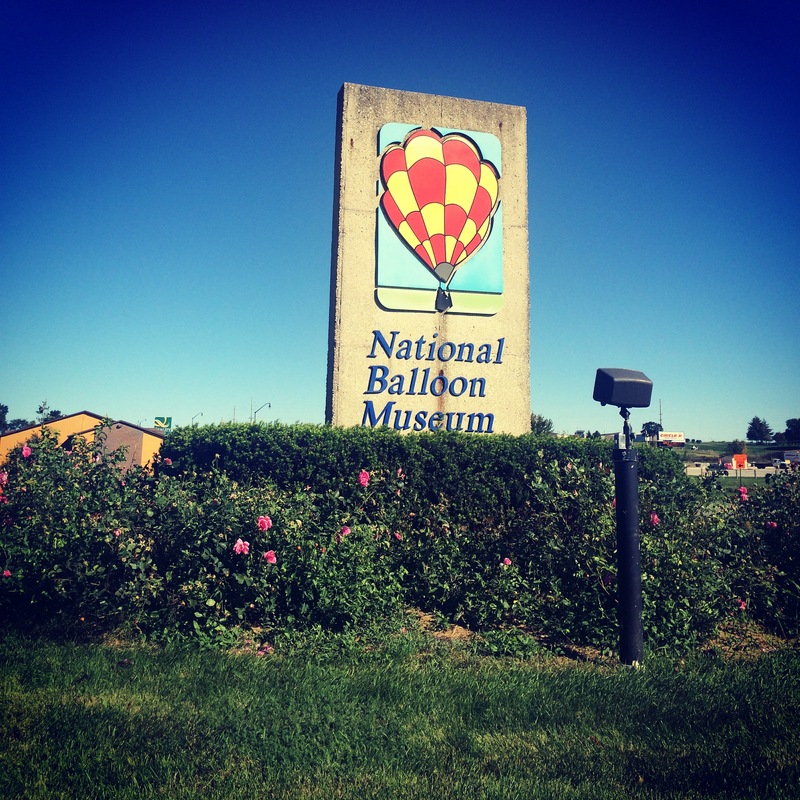 Our first stop today was the National Balloon Museum where we learned about the history of ballooning. 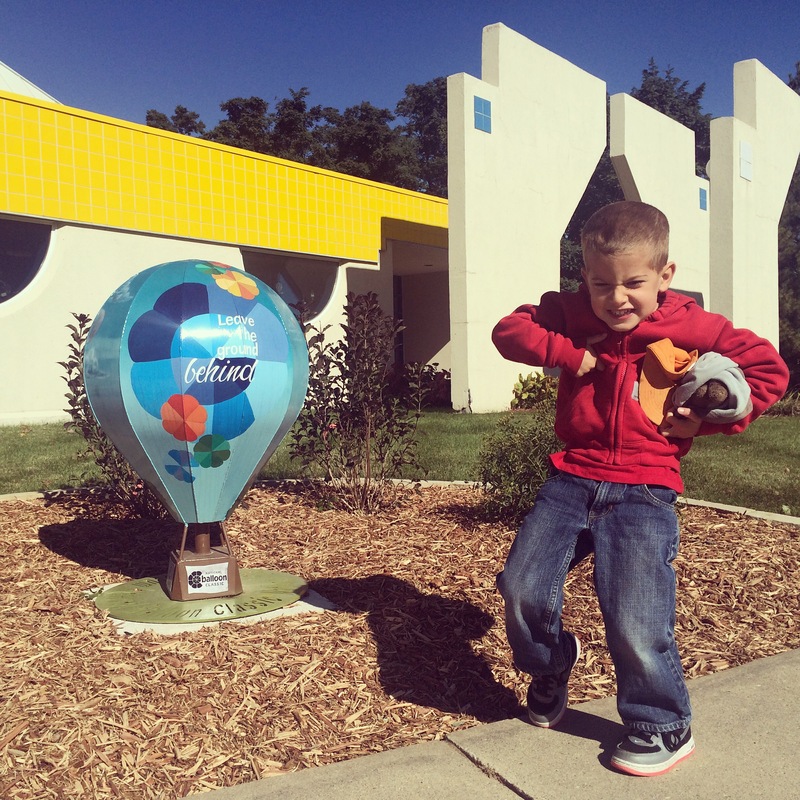 Samuel loved it since he’s our hot air balloon fanatic. He loves them! 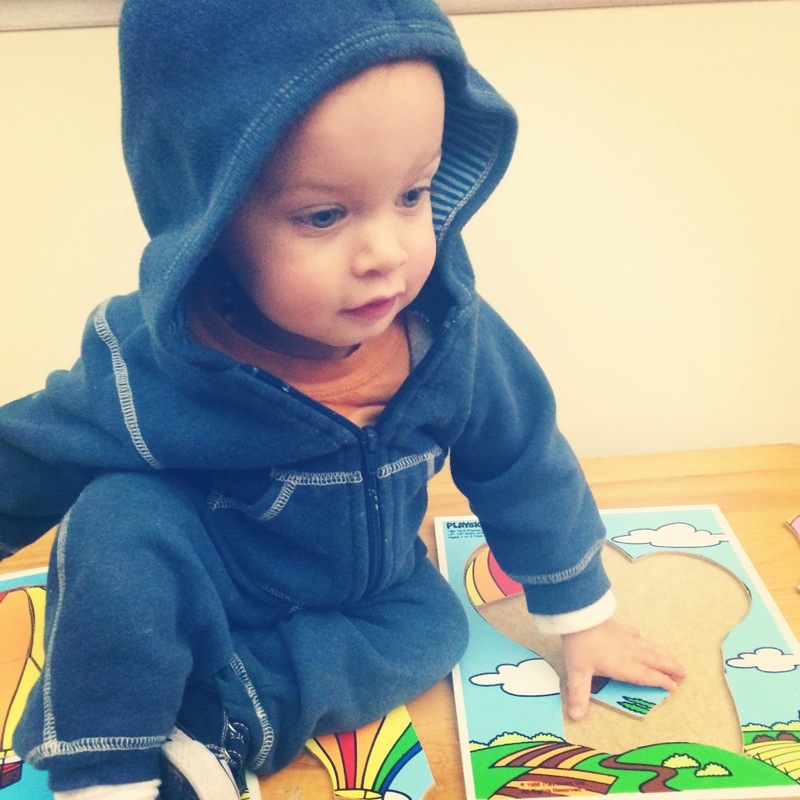 They had a wonderful kids section where the boys could play and tinker for a bit before we had to hit the road. 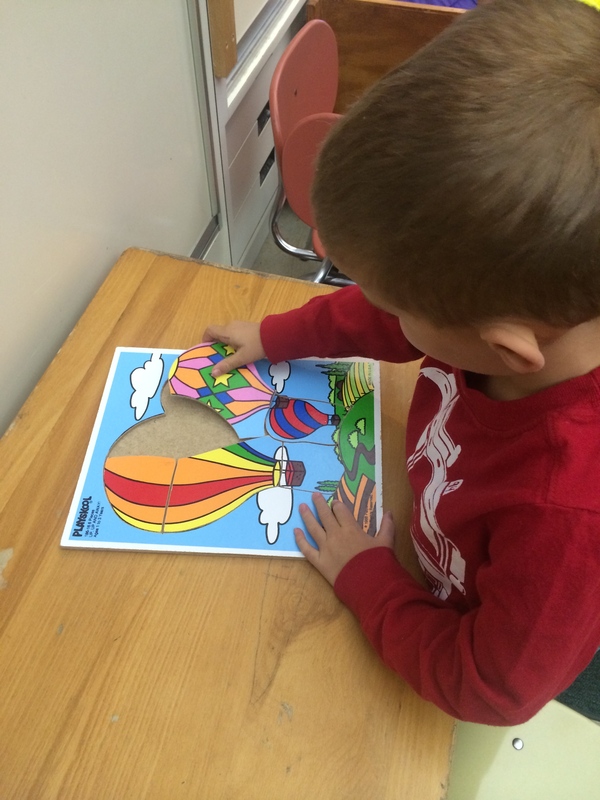 They colored hot air balloon pictures, read books, worked puzzles, and so much more! They were in heaven! Timmy hit the climbing phase around this point in our journey. We finally gave up trying to keep him off the tables! 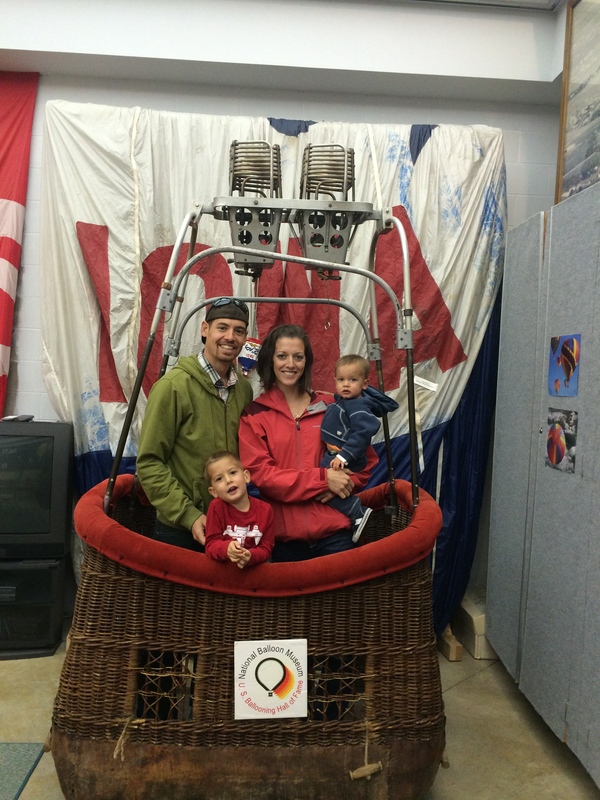 If you’re in the Des Moines, IA area, we recommend checking out the National Balloon Museum. It’s cheap and fun for kids! Around lunch time we arrived in Iowa City and happened across a mall. We figured the kids could get a few wiggles out and run around in the food court. 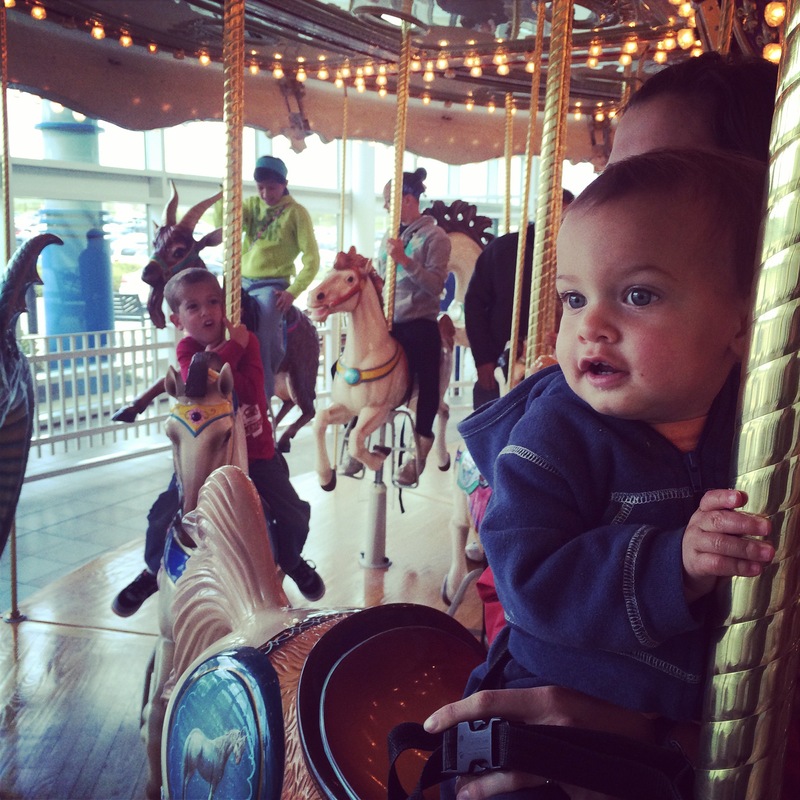 Much to our delight, they also had a cheap carousel ride and play area for kids. We took full advantage and let the kids play until Timmy looked tired. 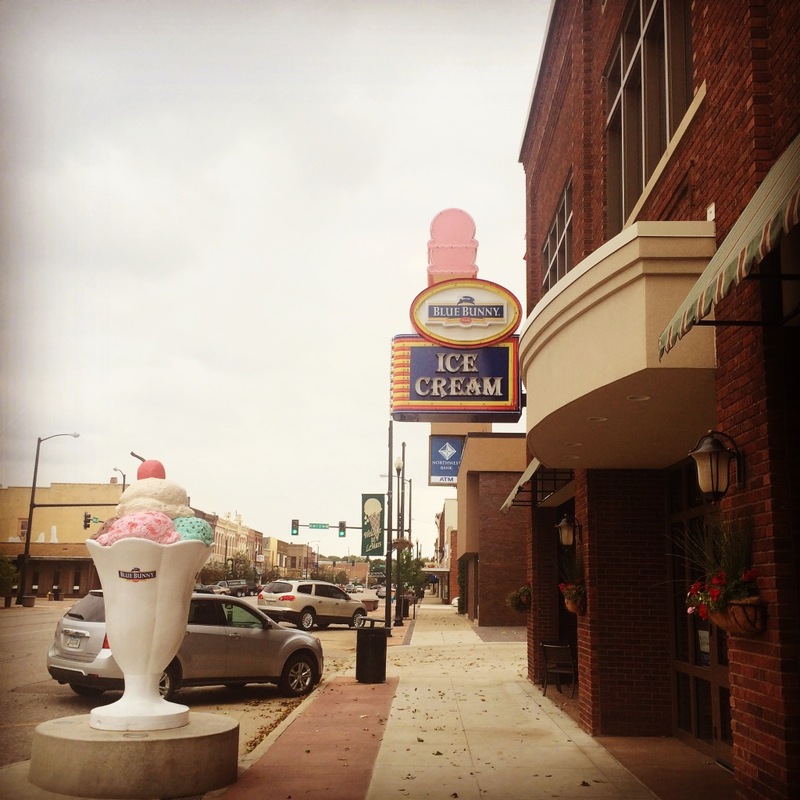 Iowa was not on our travel itinerary, but it turned out to be just fine. We really enjoyed our time passing through! Timmy slept a lot once he stopped fighting it, and Sam was a jewel traveler. We really pushed through Iowa quickly, so we spent more time in the car than we really wanted. Both children were amazing. Next, we headed to Chicago where we had plans to bike the city and hang out for a few days. 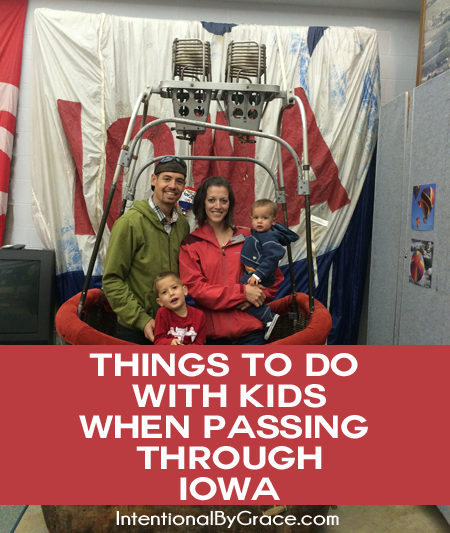 Have you ever taken a road trip through Iowa? What are some of your favorite places to see? Follow Leigh Ann @ Intentional By Grace’s board Travel on Pinterest.